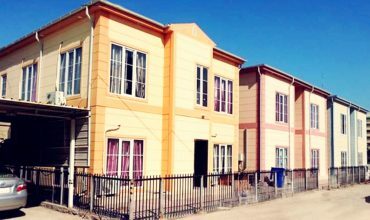 Hebo Yapı A.Ş., being one of the first brands, coming to mind as a Prefabricated House, continues its role as a pioneer in the sector with its technological investments in 2016. The system based on complex steel modularity is unique in Turkey. Hebo Yapı continues to serve its customers with quality, stylish designs, safety, reasonable prices and guarantee of Hekim Holding for more than 20 years. 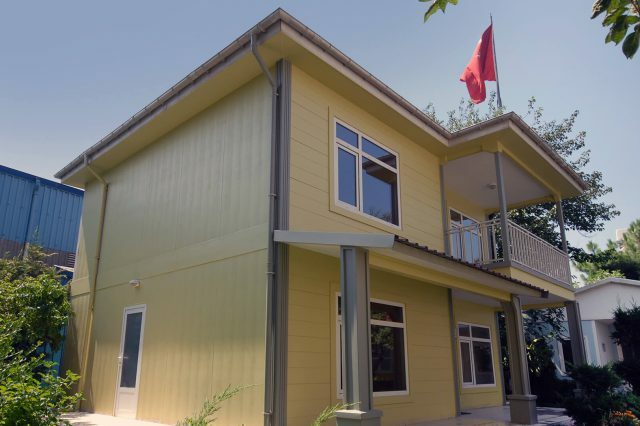 The Hebo Yapı Prefabricated House concept is demanded not only within the borders of Turkey, but also from about 90 countries around the world. So many Western European countries, such as Belgium, Holland, France, paying utmost attention to quality and human health, have deferred the quality of Hebo Yapı and our establishment in these countries started. Hebo Yapı is able to provide fast and effective solutions to its customers through its dealership network both in Turkey and abroad. 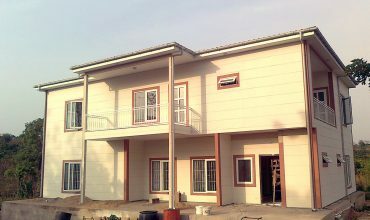 The system is based entirely on Non-Welding Technology and has resulted in a long extension of the life of the building. 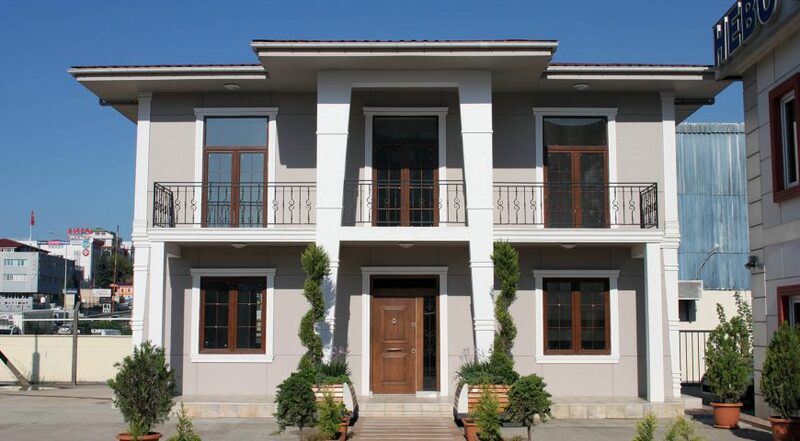 Today, the buildings produced by Hebo Yapı have the life as classic reinforced concrete buildings. 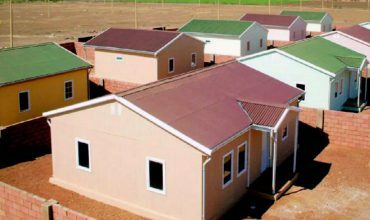 However, it has a much more affordable and much faster delivery options than these classic reinforced concrete structures. Since the metal steel parts are screwed on the galvanized system, the structures have a very long life. Interior and exterior facing materials used in Prefabricated Houses are made of Fibercement which is also under the guarantee of Hekim Holding, which has all kinds of fireproof and hygienic certificates. As a result of Hebo Yapı's investment on the system machine lines, it saves a lot of workmanship, resulting in considerable price advantages for our customers. The technology that Hebo Yapı uses is not only price advantage, but it also makes it possible to reduce the probability of error almost to "0", so our customers can continue their lives in their homes more safely. 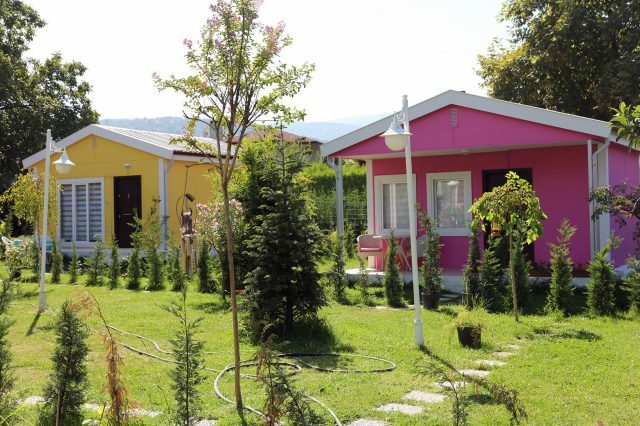 The prefabricated houses, produced by Hebo Yapı are totally engineered in accordance with static calculations in special computer programs and the metal thickness, frequency intervals, hammers on the profiles and insulation materials are decided according to the structure and climate conditions of the region to be constructed. The most important concern of Hebo Yapı is the confidence of customer. In case of any adverse events, Hebo Yapı's customers know that the assurance of Hebo Yapı comes from Hekim Holding. 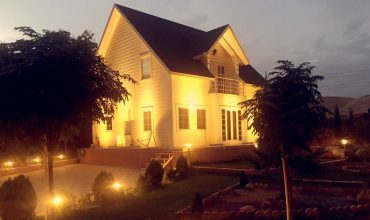 The Hekim Group, which employs approximately 1,000 people for 25 years, maintains its leadership in the sector. Thanks to technological investments of Hebo Yapı within Hekim Holding, our customers are able to have the quality for a much better price. 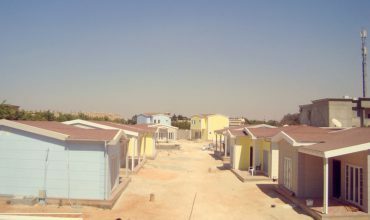 Nearly 90% of the materials used in prefabricated houses are produced by group companies operating under Hekim Holding. 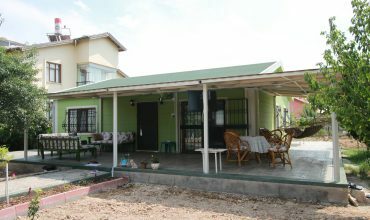 This is beneficial both in terms of quality, duration of supply and price fluctuation. 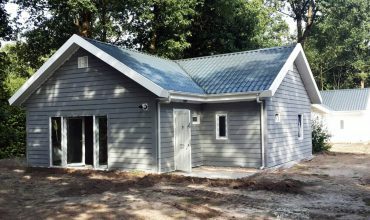 The capability of producing in any dimensions enables to develop visually richer prefabricated house solutions. 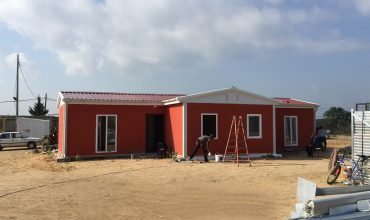 Though it may vary depending on the situation of the buildings, once our customers have placed the order, they can move in their houses within 1 month. The total time spent on one product is 10 days, and the remaining time is used for installation and delivery.